Phoenix Wright: Ace Attorney is one of the all-time great visual novel mystery style games, and it's had quite the journey. It began life as a Japan-only Game Boy Advance title, then found huge success worldwide on Nintendo DS. Since then it's travelled all over - mobile, Wii, 3DS - and now it's back, releasing for PC, PS4, Xbox One and Nintendo Switch. It's as good as it ever was. The game shepards you through a series of trials, and on this page we're offering a Spoiler-free guide to Phoenix Wright: Ace Attorney, detailing the correct path through every trial in the game to see the story through to its conclusion. We won't waste time talking any more - let's get to the trials themselves. Episode one of Phoenix Wright: Ace Attorney sees a young woman brutally murdered, while the murderer plans to pin their crime on somebody else. Can rookie defense attorney Phoenix Wright and his mentor Mia Fey turn the tide and prove the defendant's innocence? Hit with a blunt Object. Press Sahwit's 9th statement: "I remember the time exactly." Press Sahwit's 2nd statement. "There was a voice saying the time..." It's suspicious. Present the Blackout Report evidence against that statement to contradict it. Press whatever you want, but when ready present the Statue evidence agasinst the 3rd line of this testimony. The judge will now ask you some questions. Finally, present Cindy's Passport to the judge. Victory! Phoenix Wright is thrown into his first solo trial when his mentor, Mia Fey, is murdered. The suspect? Her sister, Maya. It's up to Wright to prove her innocence. Here's the steps to take to gather all the evidence you'll need for trial - at least for now. Examine Mia's body. You'll get the The Thinker and Glass Shards evidence. You'll also get the Receipt with the bloodied writing on it. Check the rest of the air and examine the phone. Head to the reception area and speak to Maya. Present her with the Receipt evidence. Next, you'll be at the detention area. Tell Maya "It's up to you," when prompted. Speak to Maya on every topic available. You'll get the Maya's Memo evidence, then speak to her again one last time, accepting her request. Head back to Mia's Office building. Speak to the detective - it doesn't matter if you remember his name. Speak with Detective Gumshoe about Mia, Maya and Miles Edgeworth. You'll get the Autopsy Report evidence. Present Maya's Memo to him - you'll eventually get Maya's Cell Phone as evidence. Gumshoe also let slip a new lead, so now head to the Gatewater Hotel to meet April May. Move on to Grossberg Law Offices. Here you meet Marvin Grossberg, and have a chat with him about everything you can. Head back to the Detention Center and chat to Maya about all the new topics. When prompted, choose to defend Maya. Tell her "I can't abandon you." Present the Cell Phone evidence to her. Head back to the Gatewater Hotel. Chat to the Bell Boy. Now examine the drawer you couldn't earlier. This will yield some interesting evidence indeed - the Wiretap. Before you even get to the trial in earnest, Gumshoe will describe events as the police see them - this adds the Floor Plan evidence to the court record. As per Maya's advice, press Gumshoe. Target his 5th or 6th statement in particular. 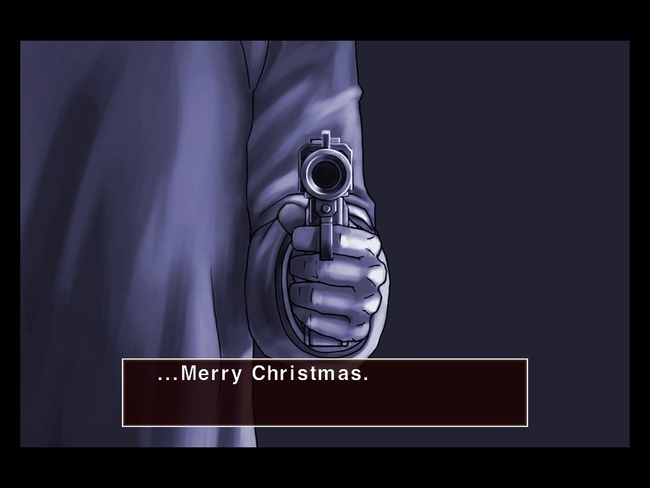 Got 'em - present Mia's Autopsy Report to Gumshoe's 6th statement. When Edgeworth queries, say "The day after the murder." The next choice doesn't really matter - and next, a new witness takes to the stand. The judge will ask if you want to cross-examine. The answer is yes, of course. Press the 3rd statement, "The one attacking her..." or the 5th statement "But that girl,"
When prompted, choose "I question your Testimony," then "You're lying." Throwing back to your last case, present The Thinker evidence on the 5th statement. When prompted, choose "It couldn't have rung," and then whatever you like. When next given the chance, present the Maya's Cell Phone evidence to contradict Edgeworth's suggestion. When April explains and the Judge questions, say "Yes", then present The Thinker evidence. As April melts down, select "You had heard about it," and then present The Wiretap evidence. When Edgeworth presses you for evidence, present Maya's Cell Phone again. The next choice doesn't matter, but when you get the chance, Call the Bellboy as a Witness. You'll need to Accept the Condition to continue. Press on statment 4 and 5 to move things on. When prompted, choose to 'Protest'. Ask about 'Check-in', 'Room Service' or 'Bed making' - all offer the same information. When prompted, choose "The man with Miss May". Once this is all over, you'll ge the May Testimony as evidence in the court record. You'll begin at the Detention Center, but there's nothing of real interest for you here. Present the Photograph B evidence to the Bellboy. Have the Bellboy Write it down to then get the Bellboy's Affidavit evidence. Present the Photograph evidence to April. Then present the Bellboy's Affidavit. When prompted, choose to Push her hard. You can also 'Ease her Fears' and show the photograph to Grossberg instead at his offices - the result is the same. Head to the Bluecorp building. This is a new location thanks to your investigation. You'll meet Redd White. Talk. There are various topics. Work through them all. When you aska bout 'That painting', say "I've seen it before". Things turn sour. Go to Grossberg Law Offices now. Grossberg is in, so talk to him. Talk about all the topics, but some require more input. When prompted, choose "He's blackmailing you". Follow up on the other topics. If you want to show the photograph evidence, you give it back. Return to the Fey & Co Law Offices. Here, examine the shelves behind the desk. Look through the files for some small revelations, plus the new Newspaper Clipping evidence. Now head on back to Bluecorp. Present the Newspaper Clipping to Redd White. When asked, choose "You blackmailed him," followed by "You're wrong." You'll automatically go to the Detention Center. Follow through the last few conversations - then it's trial time. Press White's 8th statement, "she ran away". This statement then changes to be more specific. Once the statement is changed, present the May Testimony that it now contradicts. When the judge asks for an explanation, pick whatever you like. Next, when prompoted use the map and point that he was standing where the 'K' is written on the map. Present it. One-size fits all for this one. Present the Mia's Autopsy Report evidence on either the 4th, 5th, 6th or 7th statement. Press White's 1st statement, "I heard that thing fall". When asked, say "Yeah, very odd". This forces the statement to revise. Present the Glass Shards evidence against the newly revised 1st statement. The Floor Plans can also have the same net impact. When asked, pick "Big Problemo." When asked for proof, go ahead and present the Floor Plans. Press all 4 statements. This leads to some story shenanigans you have no control over. During recess, you'll discover a revelation about the Receipt evidence, updating it in the court record. Back in court, present the Receipt against any of the statements. 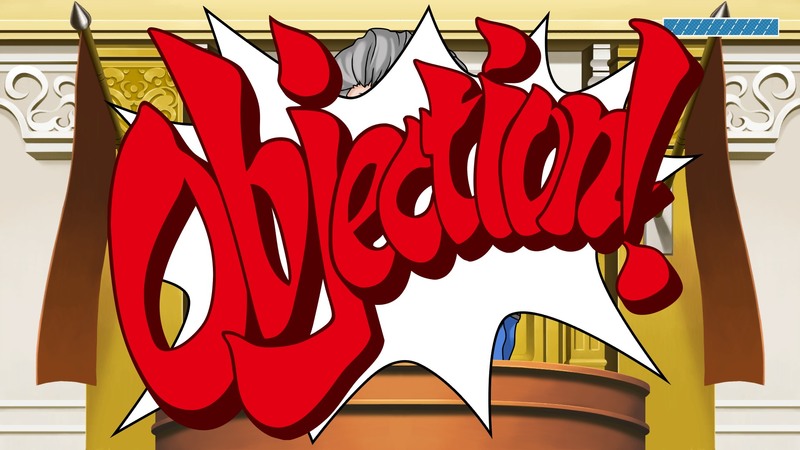 When Edgeworth asks for another day of investigation, Object, then Present Mia's Memo, which you've just been given. Go to the Detention Center. Talk to Will Powers. Head to The Studio. Speak to Wendy Oldbag and exhaust your options. Head back to the Detention Center. Ask Will Powers about Oldbag, the security lady, to get Powers' Letter. Now head back to The Studio and present Oldbag with Powers' Letter. You'll also get the Guidemap item. Within the newly unlocked Studio One area you'll encounter Gumshoe. Chat to him to get Jack Hammer's Autopsy Report. Keep chatting to him. In the Studio One area, examine the following: the camera, the door and the mascot head. Once that's done, head back to the Main Gate and chat to Oldbag about everything. Head to the Employee Area. In there, examine the Lunch Plate, then scroll left and examine the Open Grate. Go to Will's Dressing Room. Examine Will's bag to get the Cardkey item in your court record. To use the keycard, return to Studio One and examine the door again to open it. Inside Studio One, examine the cameras. You'll meet Penny. Discuss everything with her. Back at the Main Gate, chat to Oldbag again. You'll have a new option that will make her leave in a huff. With Oldbag out of the way, examine the computer. Choose ST1-307, which you learned earlier, to get Powers' Photo evidence. Before you even get to the trial in earnest, Gumshoe will once again fill you in on the investigation - you'll get the Samurai Spear added to the court record. Once the trial starts, quickly you'll be able to cross-examine Oldbag. Present Powers' Photo on the 7th or 8th statement. Press Oldbag on her 4th statement. This will cause a Court Record update. Now press the 2nd or 3rd statement, then cycle through the statements. Present Powers' Photo on the 2nd, 3rd or 4th statement. Press Oldbag on the 4th statement. There will now be a recess. Press Further when given the option. When prompted, present either the Samurai Spear or Cardkey evidence. It's time for more testimony. Press Oldbag on her 2nd or 5th statement. When asked if you want to take a break, do so. It's time for more investigation. You begin in the Detention Center. Talk to Will Powers. Head to the Employee Area of the Studios. Penny is here, but leaves. Once she does, choose to Rip Open the newly covered grate. Then leave. Vandal! At the Main Gate, chat to Penny for more information. Go back to the Employee Area and then the Dressing Room. Meet Sal Menella. Chat to this curious fella. Finally, now go to Studio Two. Examine the plates, the trailer door, the signpost, studio van, incinerator and flowerbed. Head back to the Main Gate. Oldbag is back. She has nothing to say of worth. Now head back to the Employee Area. There's a new person here - Cody Hackins. Talk to him. After talking to Cody, you'll get an Empty Bottle. Examine it to update its description. Back at the Main Gate, examine the abandoned guard station to get the Trailer Key. Go back to Studio Two - this time you can examine and open the trailer door. Move into the Studio Two Trailer. You'll meet Dee Vasques, the producer of Steel Samurai. Talk to her. You'll get Vasquez's Memo, which is meant for Sal. Go back to the Dressing Room and present Sal with Vasquez's Memo. Sal isn't helpful, so go back to Studio One. Inside, examine the director's chair. You'll get the Script item in your court record. Back to the Studio Two Trailer - now show Vasquez the Script. She'll now talk about some interesting topics. You'll get Mr. Monkey's Head as evidence. It's time to go back to the Wright & Co. Law Offices. Story shenanigans ensue. Head back to the Studio Main Gate and chat to Oldbag. Once you have, present Oldbag with the Cardkey. When given the option, Lend her the cardkey. You'll get the Steel Samurai Card in return. Go back to the Dressing Room to meet up with Cody again. 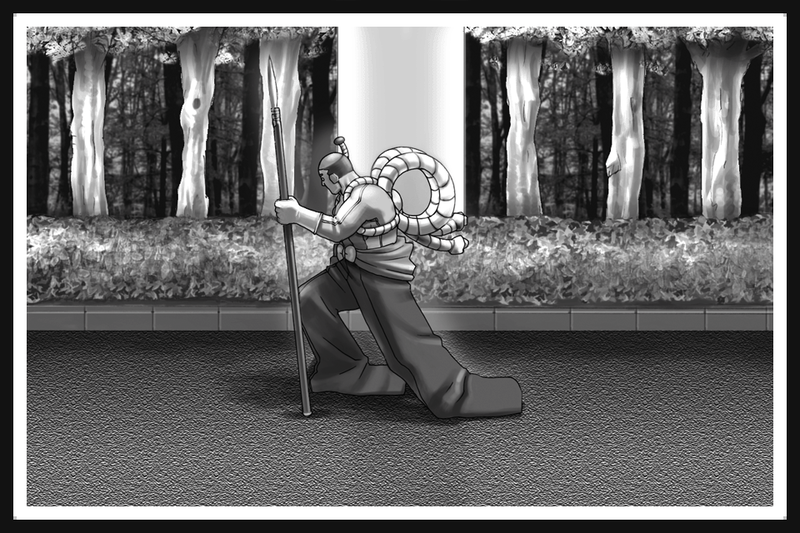 Present the Steel Samurai Card. Go to the Studio Two Trailer and talk to Penny again. Once you've exhausted topics, present the Steel Samurai Card to her. You'll get the URP Card. Back and forth - back to the Dressing Room, present Cody with the URP Card. Finally, talk to Cody about all topics. When asked about Steel Samurai, choose His Fighting Skills. You'll get the Path to Glory in your court record. When asked, you should say I Believe. Here we go. Press the 5th statement. When asked, say "It's contradictory". The statement changes; press the seventh statement. When given the option, press harder. Press Manella's 1st statement, then his 3rd statement. When asked by the judge, comment "No, it's impossible." You'll have a short recess, and you'll get Cody's Camera in the court record. Cody takes a while to go wrong. Present Cody's Camera against statement 9. Press Cody's 4th statement. When given the option, press him harder. When asked, present Cody's Camera. Press Cody's 5th and final statement. Press him harder when asked. When he revises that statement, present Path to Glory. Things are taking a turn now. When given the chance, look at Cody's Photo and point to the "2" in the photo. Present that. Now point to Studio Two in the Guidemap. Tell the court that The Trailer was there. Edgeworth wants proof. Tell him you have it. Then present the Empty Bottle. When asked, say Fingerprint the Bottle. You've bought time - and gained momentum. You begin in the Detention Center. Talk to Will Powers once again. No groundbreaking info here, but there's some useful bits of context. Head to the Main Gate and speak to Oldbag again. Now go to the Employee Area. Gumshoie is here. Chat to him to get the Steak Plate evidence. Speak to Gumshoe more. When you chat about Edgeworth, you'll get the Sleeping Pill Bottle as evidence. Now how to the Dressing Room. Penny is here. Chat to her, and then when the topics are exhausted present her with the Path to Glory. Return to the Main Gate and chat to Oldbag again. There's a new topic. When you can, say I Have Proof. Provide that proof - present the Steak Plate to Oldbag, then the Sleeping Pill Bottle. She'll give you the Five Year Old Photo evidence. Vasquez takes the stand, then. As part of the testimony, Van will be added to the court record. Present the Steak Plate on the 6th statement. When asked, say "You Didn't Eat the Steak". When asked, choose "Meeting the Steel Samurai"
When asked, say "You couldn't, could you?" Present the Samurai Spear as evidence when prompted. When asked by the judge, say "I can tell you", then present the Five Year Old Photo. Next, say "She Had Another Way" and then present that new evidence, the Van. When asked a question by Edgeworth, say Of Course He Has. Here we go. This is it. Press Vasquez on her 6th statement. Press harder when asked. Once her final statement changes, present Powers' Photo to her. Then tell her "You Saw Hammer Limping". Select Of course I can prove it - and then once again present the Five Year Old Photo. When asked, select Reveal Evidence - and then "She Had No Motive". After this, the truth will be revealed. When speaking to Will aftrer the power, present him with Powers' Photo. Go to the Detention Center, as always. This is the best place to start. Talk to Edgeworth about everything. Present your Attorney's Badge from the Court Record to Edgeworth. That's all for here for now, so head to Gourd Lake Park Entrance. Your old pal Gumshoe is here - talk to him about everything. Now go to the Gourd Lake Public Beach. Examine the object on the bench - you'll get a Popper item for the Court Record. Head to the Gourd Lake Woods. Here, examine the camera to kick off a scene. Meet Lotta Hart. Present the Attorney's Badge to her and she'll be more willing to do. After talking, you'll get Lotta's Camera in your court record. When you have Lotta's Camera, present it back to Lotta to hear some more from her. It's time to head to the Criminal Affairs area, via the Police Station entrance. Time for a catch up with Gumshoe. Talk to him about everything and eventually get the Autopsy Report. Backtrack to the Woods in Gourd Lake and speak to Lotta. She has photos now; take the Lake Photo for your court record. Now go back to Wright & Co. Law Offices. You need some inspiration, and Maya will get some for you here, giving you a new destination. Head to the Grossberg Law Offices. Here you'll meet Grossberg. Speak to him about all you can, then present him with the Autopsy Report. You'll get a photo back in return... it's added to your court record - the Misty Fey Photo. This is what you need. Head back to the Detention Center and present Edgeworth with Misty Fey's Photo. You'll now be able to talk more with him. Agree to defend Edgeworth in court. You'll get Edgeworth's Request in your court record as a result. Once you get a chance to meet Gumshoe, chat to him again - then present him with Edgeworth's Request. After an exposition dump about who your rival is this time - the formidable Manfred von Karma - it's time for trial. At the opening of the trial, the crime will be summarized. As a result you'll get the Overhead Map in your court record. Press Gumshoe on his 5th statement. You'll get the Pistol Bullet in your court record. Press Gumshoe on his 6th statement. He adds a new statement. Press Gumshoe on this new statement "The murder weapon we found..."
Already a recess. In Recess, be sure to tell Maya "I need you here" when she doubts herself. Back in Court, Lotta is on the stand. Listen to Lotta's testimony. Von Karma is threatening you. When prompted, say "I think there was" regarding contradictions. Press Lotta on every single statement except her 1st. Whenever you can, press further and harder. Von Karma will suggest that it's time to declare a verdict. Say "Wrong". Lotta makes one new statement. At this new statement "I saw it clear as day...", present the Lake Photo. Press Lotta on her third statement. Press further, even when the game warns you otherwise. Lotta adds a revised statement now. ("The camera was set up...") Present Lotta's Camera on this statement. When asked, choose Show Evidence and then present the Gourdy Article. Lotta will ask you for proof. Say "I have proof" and then once again present Lotta's Camera. On Lotta's 7th statement, present the Gourdy Article evidence. When prompted, select Make her show the enlargement. On the photo, point to the shooter's hand and present it. Then, present the Pistol to the court. When asked, reply "The Victim Himself". As this stage of the trial ends, you'll get the Lotta's Disposition evidence. At the Detention Center you'll have a chance to review where you stand. Do that. Move through the various Gourd Lake areas, making your way to the Woods. Gumshoe is here. Have a chat with him. Head back to the Detention Center to get Maya. Go back to the Gourd Lake Entrance. Lotta is here again now, and wants to talk. When prompted, choose to make a Deal. Go to Gourd Lake Public Beach. Larry is here (alongside a familiar-looking balloon). Chat to Larry. The Dog can be taken to the beach for some fun story shenanigans, but nothing to do with the case. The Fishing Rod can be used in the Beach Woods for another hidden scene. The Metal Detector is the one you actually want, and gets added to the court record. From the Public Beach, head to the Boat Rental Shop. The metal detector is going nuts. You'll find the Air Tank item. Out at the Public Beach, present the Air Tank to Larry. When he asks why he'd need it, tell him "To inflate something". Press every line of questioning with Larry until none are left. Head to Gourd Lake Woods. Lotta is here. Tell her "Gourdy doesn't exist", and show her the proof - the Air Tank. Chat to Lotta now, and you'll get the Second Lake Photo evidence. Now go to the Boat Rental Shop and then, past it, the Caretaker's Shack. There's an old man in here. Speak to him. It's going nowhere fast. Now you can present useful stuff. Present the Lake Photo and he'll give you more information. Examine Polly the Parrot to have her added to the court record. Talk to the old man about Polly. Head back to the Criminal Affairs Department and meet Gumshow again. Present him with Polly the Parrot. You're thrown right into things now. When you get the chance, Raise an Objection. Next, the caretaker will step up to testify. When asked, obviously choose to cross-examine. Press the caretaker on his 6th statement. Press again on the revised statement. Then raise an objection when you can. Present Lotta's Deposition against the 6th statement Larry makes. Allow Larry to continue testifying when prompted. Press Larry on his 5th and final statement in this terstimony. When prompted, tell the judge "We should care." Larry adds a statement ("Just when she said...") Present either the Lake Photo or Lotta's Deposition to that statement. When the judge asks your opinion, say "Larry's right". Now, present the Second Lake Photo. Follow that up by presenting the Pistol. When asked who the figures are, answer "Edgeworth and the murderer"
But when asked the Murderer's identity, say "I don't know." When you're examining the map of the area, point to the Boat Shop and present it. When the judge asks for an identity, say "The Boat Shop Caretaker" followed by "To create a witness." You'll kick off in your office, and you've got a lot to think about. Larry arrives - talk to him first, and exhaust all options. Go to the Detention Center and have your traditional post-trial catch-up with your defendant. Once you've spoken to Edgeworth, head to Gourd Lake Entrance and meet up with Gumshoe. Head to the Boat Rental Shop this time. Grossberg is here. Next, go to the Caretaker's Shack. There's a green save above the TV - examine it and you'll get the Letter from the Safe in your Court Record. With the letter in hand, go back to the Detention Center and chat to Edgeworth more. Present the Letter from the Safe to him. You can now speak about more topics. Head to Grossberg Law Offices. Speak to Grossberg about everything you can, then Present him with the Letter from the Safe to unlock yet more topics. Now go to the Records Room in the Criminal Affairs Department. Von Karma is here - the enemy. Chat to him all the same. Present the Letter from the Safe to Von Karma - and after some events, you'll get the DL-6 Bullet evidence in your court record. Press the Caretaker on his 4th and the final statements of his testinomy. You'll be asked for the man's name. Answer "Yanni Yogi". When prompted, say "Yes, I'm doing it." Press Polly the Parrot on her 1st statement. Try asking the parrot "Have we forgotten something?" This time, try asking "What's your name?" Tell the judge "Of Course" and when promtped, present the DL-6 Case File. The Judge wants a page - tell him Suspect Data. You're back to the testimony. This time, press Polly on the 1st statement and ask "What's the safe number?" When the Judge queries, say "Actually, it does." Major events now unfold. When they're over, you'll find Edgeworth on the stand. Here we go. This is it. Present the DL-6 Case File evidence on the 6th statement. The page you want is Victim Data. When Von Karma makes a claim, say Yes and then present the DL-6 Incident Photo as your proof. Point to the bullet hole in the door. Some events will happen now. When you next get the chance to pipe up, say "The murderer didn't need it." There'll be more drama. When you get a chance, Show Evidence. Present the Metal Detector. Do you see where this is going? When you get the chance, Present the DL-6 Bullet. Once the trial is over, present Maya with the DL-6 Bullet. This case isn't actually technically part of the story of Phoenix Wright: Ace Attorney. This was an additional case, added to the Nintendo DS version of the game years after its initial release. 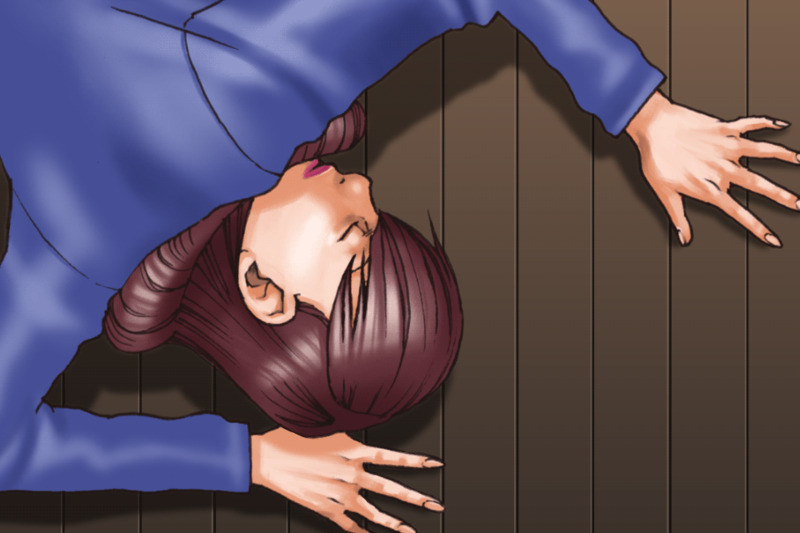 It's two months since Turnabout Goodbyes - and you're without Maya. Everything is about to change, however. You'll begin in the Wright & Co Law Offices. Talk to Ema. Get to know her - she's going to be your sidekick for this case, as well as being related to your client. Head for the Detention Center and speak to Lana. Talk about everything you can. Go to the Prosecutor's Office Undergorund Parking Lot. You'll meet Jake Marshall. In the Parking Lot, try to pan right to examine something. Now pan left and examine the Wallet, below the left of the door. You'll now get a tutorial about checking the wallet, a new mechanic. Examine it to get an ID card; Goodman's ID is added to the court record. Now you'll meet Angel Starr. Talk to her as much as you can. Once it's time, head to the High Prosecutor's Office. A familair face is here. Speak about everything you can - you'll eventually get Edgeworth's Knife. Now examine the trophy on the couch, a giant 'K', to get the Prosecutor Trophy added to your court record. Present it right away, then speak about the day of the crime - you'll get the Parking Stub. Now it's time to go to the Police Department Entrance. Gumshoe is here, your old buddy. Talk about everything you can. Once the talking is over, examine the Blue Badger (the police mascot) to get the Blue Badger Panel in your court record. Present Goodman's ID to Gumshoe - you can then talk about him. 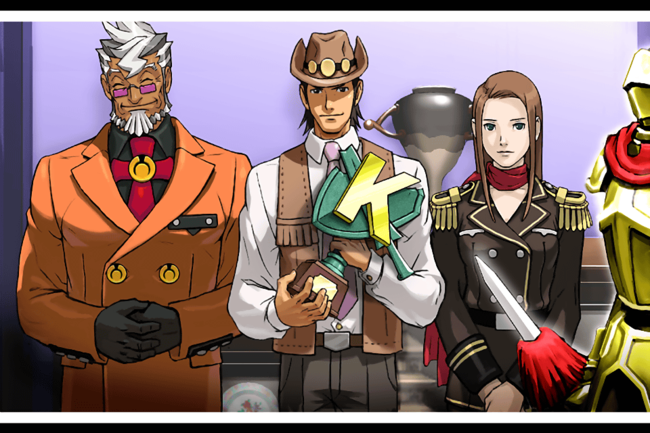 Then present the Prosecutor Trophy to Gumshoe, too. You'll get the Letter of Introduction in return. Now take yourself back to the Underground Parking Lot - present the Letter of Introduction to Jake Starr. You can talk to Jake now, so go ahead and do that. You'll get Goodman's Autopsy Report. You can speak further after this. In this area, examine the locked door near the security area, the emergency phone near that door, and the partition wall nearby. Next, examine the Cell Phone that's on the ground near the car. Given the option, choose to Check it Out. Press the blue button, then the redial button. This will add the Cell Phone to yhe court record. Finally, examine the trunk of the car to get Goodman's Note, and speak to Jake about a final few topics. At the top of the trial you'll get the usual sumnmary, and you'll have the Parking Lot Floor Plans added to the court record. Nice. It's time to jump straight into testimony. Press Angel's 1st statement, then her 2nd, then her 4th. You'll get the Crime Photo evidence. Now you have the Crime Photo, present it on Angel's 5th or 6th statement. Call Objection when you get the chance. On the 4th/final statement of this testimony, present Goodman's Autopsy Report. Angel will revise her statement ("Her red muffler...") - present the Crime Photo to this statement. Press Angel on the 2nd statement. Press her more when you get the chance. Press on the 3rd statement too - and once again, ask further. The Cell Phone gets updated in the court record, and testimony is added about the emergency phone. This statement varies depending on the version of the game, but press this statement. You'll be prompted with the plans, where Angel explains herself. Present the Parking Lot Floor Plans to this statement, and then when asked say "Where she saw it." Prompted, present where it's labeled Security Room. When asked again, note the "Distance to the crime." When you get the chance, choose to Raise an Objection. This testimony will add the Victim's Shoe to your court record. Press Angel on the 5th and final statement. When Ema asks, say "There's a problem." This will make you investigate the Victim's Shoe. Spin it around and find blood on the heel. Present it. When Edgeworth asks for a contradiction, present the Crime Photo. When asked, point to the object sticking out of the muffler of the car in the photo. Present this. Once you can, present Lana's Cell Phone from your court record. Now there's a recess. When the trial starts back up, some courtroom drama will lead to the Switchblade Knife being admitted into evidence. You can examine it and flip it open to reveal more about it. Present Goodman's Note on the second statement Gant makes. Gant now changes his statement slightly. Press him on this new statement ("The knife was evidence..."). Press Gant on the 4th statement (or third, it varies - "A detective was killed"). You're allowed to ask a question - ask "Where the victim was found"
Gant revises his statement again ("I'll cooperate...") - press this statement, then ask for "The Victim's ID number"
When prompted, choose "This tells me something!" and then present Goodman's ID. This day kicks off with a visit to the Underground Parking Garage. You'll be introduced to Ema's blood trace tool. Spray it all over once you can until you find something. When you can, ask about "The amount of blood" in order to get the Luminol Testing Fluid added to the court record. Talk to Angel and exhaust all conversation options. When that's done, present the Switchblade Knife, Goodman's Note, Goodman's ID and the Crime Photo to Angel. You'll have some more topics of conversation, and get the Steak Lunch as evidence in your court record. Yum. Now head to the Evidence Room Guard Station. Examine the door in this strange Wild West themed room. Go back to the Underground Parking Garage. You can now chat to Gumshoe here. Once you've spoken to Gumshoe, go back to the Detention Center. Officer Mike Meekins is here. Talk to him about everything you can. Present Goodman's ID to Meekins, then speak to him about that newly unlocked topic also. Back to the Police Department Criminal Affairs Dept now. Gant is here - talk to him about everything. Still in the Criminal Affairs Dept, examine the Chief of Detectives (sitting at his desk at the back) to get Goodman's Lost Item Report. Speak with Gant again, about permission to get a Guest ID Card. He'll give you that. Now it's time to go back to the Security Guard Office back in the underground office. Examine the Evidence Room entrance; the card won't work. Now you bump into Jake Marshall, the security guard. Present him with the Steak Lunch. This removes it from the court record. Now talk to Marshall about everything. Present Goodman's ID to Marshall. From this interaction you'll get the ID Card Record evidence. Now you can get into the Evidence Room, so head there. Gumshoe is in here, and gives you the Evidence Room Floorplans. Talk to Gumshoe, too. This will eventually get you the Evidence Locker in the court record. Present Gumshoe with either the Switchblade Knife or Goodman's Note in order to talk with him about SL-9. Once you've done that, present Gumshoe with the ID Card Record - you'll get new info that updates it. When you have control, look right and examine the flap hanging out of the left-hand locker and the glove hanging from the police tape. The Rubber Glove gets added to the court record. The Unstable Jar is then added to the court record. Once that's done, use the Luminol Testing Fluid to spray the scene. Spray the area behind the yellow tape, the bloody handprint and the suspicious locker you examined earlier. Present the ID Card Record to Edgeworth; this will get you the Screwdriver evidence. Then Present Goodman's Note or the Switchblade Knife. Speak about the new topic to get a Fingerprinting Set, another new tool. Now go back to the Evidence Room and use the Fingerprinting Set to examine the handprint on the locker. It's Gumshoe's Locker, by the way. Now you know how to use it, examine the far left-hand locker for prints. When prompted, point to where the handprint's ring finger should be. Do another print comparison and you'll get Marshall's Prints in your court record.